Here’s a trivia question that’ll win a bar bet just about anywhere but North Carolina. 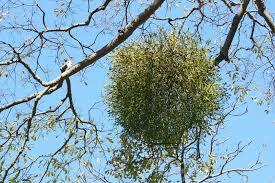 What tool do you use for harvesting mistletoe? If you guessed a pruning sheers or a weed-eater you’re wrong. 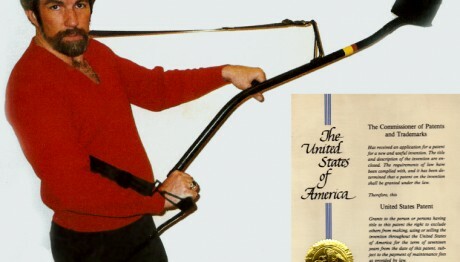 Best tool? A 12-gauge shotgun…(the longer the barrel, the better) because most of the mistletoe around here (our property included) resides at the tippy tops of extremely tall trees. We thought for the first eight months (dumbly) that the clumps way up in the trees were the beginning of some kind of squirrel’s nest. Nope, it’s mistletoe and you have to shoot off the little branches they’re hanging on to get it. Honor Code: For every bar bet you win with this, please send me 7% as a consultation fee and I’ll keep you in the loop. Pam and I looked at each other. How do you even answer a question like that? “Uhmmmm… No…?” was all I could get out of my mouth. The next question was, “Do y’all know how much ginseng goes for a pound?” Still speechless, I threw my arms in the air and replied, “Beats the hell out of me!” “Well, depending on the quality, it’ll go anywhere from $300.00 a pound up to $700.00 a pound,” …at which point, my tiny peanut brain began doing the math. Looks like something out of X-Files or Supernatural. 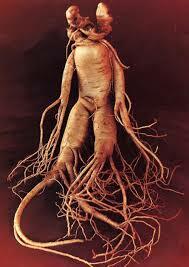 Yeah, the ginseng root can look a whole lot like a weird little man. Then my mind flashed on the legality of the whole thing. “We’re talking about that weird little root that looks like a man, and they make tea out of it right?” “…Right.” As it turns out, ginseng is really picky about where it wants to grow, but certain slopes in the mountains of North Carolina are what it really likes. I made a mental note that as soon as Bryan left, we were going to Google the hell out of the topic. 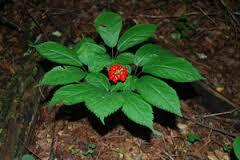 Long-story-short, those weird little plants we’ve been seeing are ginseng. No, it’s not dope or anything. It’s not illegal, but it makes a helluva tea and a pick-me-up or calm-you-down, depending on what you need. PLOTTS: And then, for what it’s worth, Bryan goes on to teach us some more about North Carolina. Bryan raises…Plotts, too. 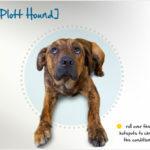 Do you know what a Plott is? I sure didn’t. See if you can get close: animal, vegetable, or mineral? 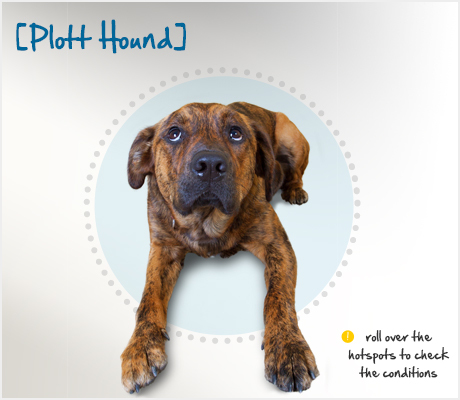 Plotts happen to be North Carolina’s state dog and a big powerful dog it is. They’re used a lot for tracking bobcats and mountain lions…and they win! And North Carolina has an unofficial state donut as well!!! God, does it get any better? When we walk into Frisbee’s Supermarket, about three miles from our house, they have fresh Krispy Kremes on aisle one. If you’ve ever eaten one…you know. Just out of the box, they’re heaven (you might as well just grab two. I’ve never seen anyone eat just one). But, my own personal spin on making heaven even more heavenly: Put those two Krispy Kremes in the microwave for 15 seconds. I swear, when the microwave dings and you open the door, you have to be careful they don’t just float out and end up on the ceiling. I’ve been in French restaurants and ordered $14 desserts that weren’t as tasty. We’re still trying to figure out if they have any calories if they’re lighter than air…………. Seriously, give them a shot. 15 seconds, no more, no less. Okay, yesterday afternoon, Pam and I were truly pushing our luck, planting grass seed in the new area with the giant Pterodactyl’s nest near the road. We were just tamping everything down with our golf cart, when a large, shiny, red pick-up drove by slowly. They waved and beeped and disappeared on down the road. And then about 15 seconds later they reappeared, drove up and pulled over next to the big nest. 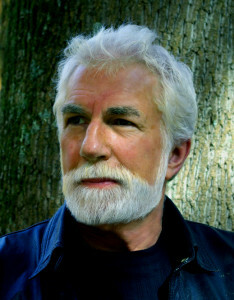 We meet Roger Reed, a bearded man (the men are just about all bearded down here…a lot like Vermont). Roger drives by every week or so, heading up to the big Catawba Falls to do some trout fishing. Turns out, Roger really likes the sculptures, the time machines and the Ptero’s nest in particular and we get to talking. He tells me about trout fishing and I tell him all I know about Pterodactyls, which isn’t much. Then he asks me if I like trout. As a point of fact, it’s our favorite freshwater fish, and he goes on to ask if he could drop some off when he comes by. Do ducks quack? I begin to accept, but in our world there has to be a balance. It has to be fair. I ask him if he likes beer, and what I’m learning down here is, beer isn’t at the top of the list. He says, “Well, I like tea…..and an occasional sip of shine,” (moonshine) which is very tasty down here and very popular. 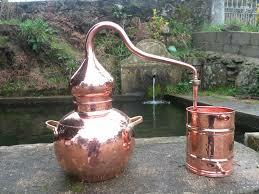 I explain to him that we’re working on making a sculptural moonshine still…just for our own consumption, none to sell, but would he want to try some shine from a copper sculpture still? I do believe we have a deal…no money involved, just some handfuls of trout. And I learned something else: The way you tell the alcohol content of shine is by the color of the flame when you light it. Blue is best. And when you test the bottle for quality, if the bubbles dissipate fast, it’s good. If they stick to the bottle…not so good. …This is one steep learning curve living down here! Except for the worrying about the Krispy Kremes actually floating away, this is pretty much how the day went. For those contemplating a visit down, looks like you’ll be able to hunt for ginseng, pan for gold, eat rainbow trout, Krispy Kremes for dessert and maybe we’ll have the still ready by then. I’m thinking a combination of a copper Tin Man with curlieque copper tubes coming from out of some part of his body. 2 Responses to "Mistletoe, Moonshine…and Ginseng?" 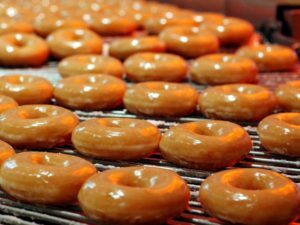 So I actually did know about Plotts, a friend adopted one, Krispy Kremes are “da bomb” and if you ever run across a Krispy Kreme Donut Shop with the fresh donut sign blinking, run, don’t walk, run in and buy yourself a dozen! Never knew about ginsing, where it grows, or anything about it really. Roadside stand, perhaps? Just sayin’. Now mistletoe, that is a real treasure, must be alot of kissing going on down there in NC. *smiles evilly* Sounds like a southern shagri la that you are living on. Be well my friend. I’m guessing there’s got to be a glitch somewhere with the ginseng. Otherwise, everyone would be driving Ferraris down here, and that isn’t the case. Regarding the donuts, a new business just opened in our teeny town, dedicated to making donuts. Hopes were high, but the donuts are literally heavy and there’s a Crisco aftertaste that’s a deal-breaker. Krispy Kremes still rule!